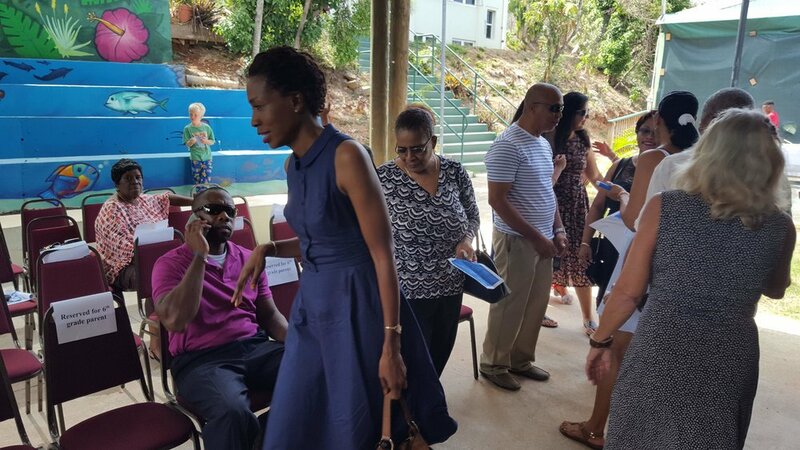 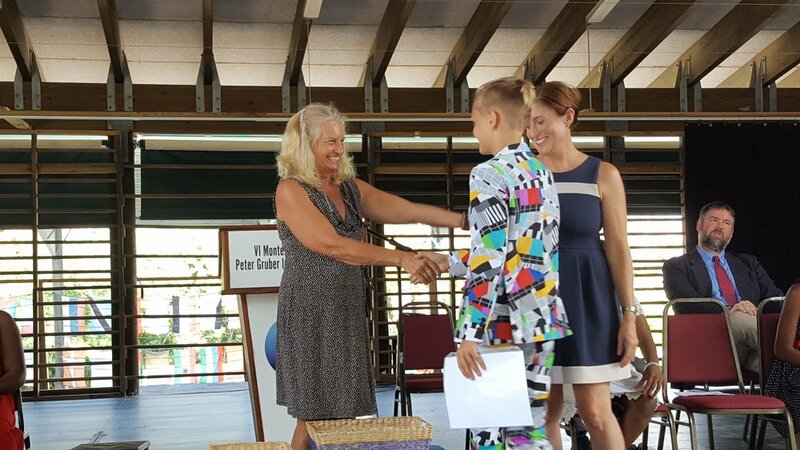 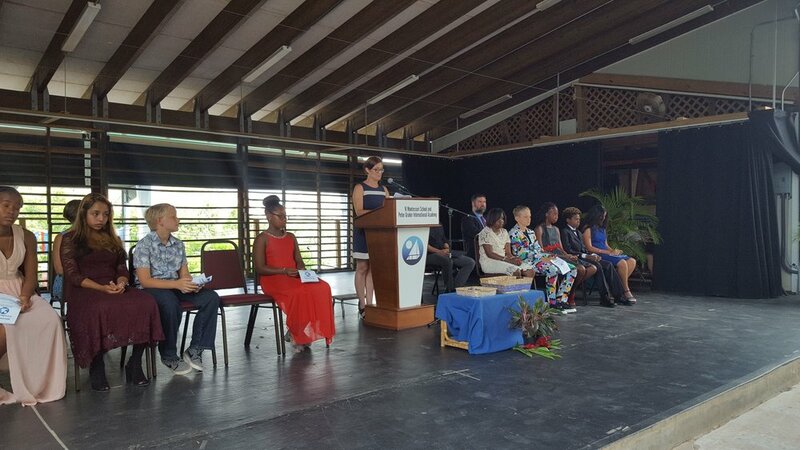 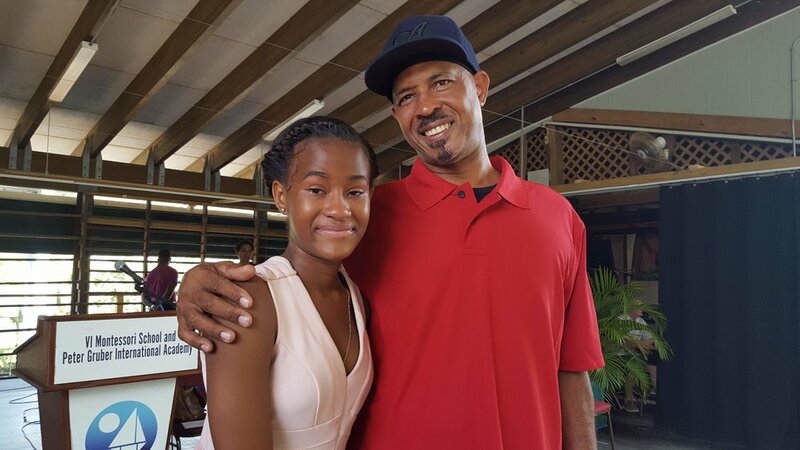 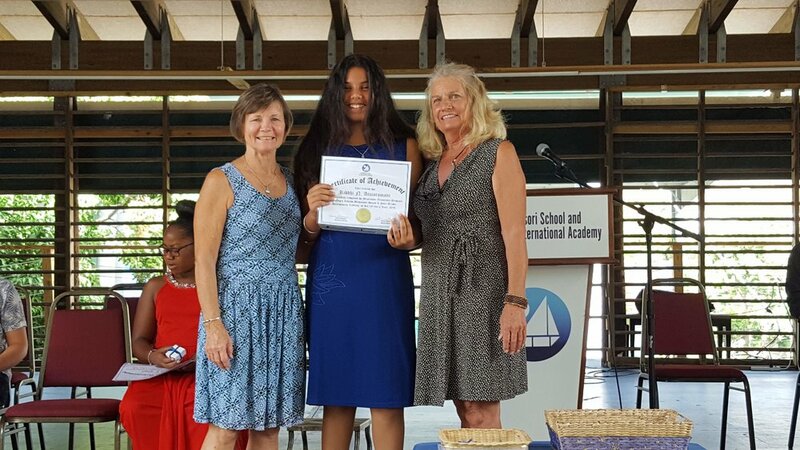 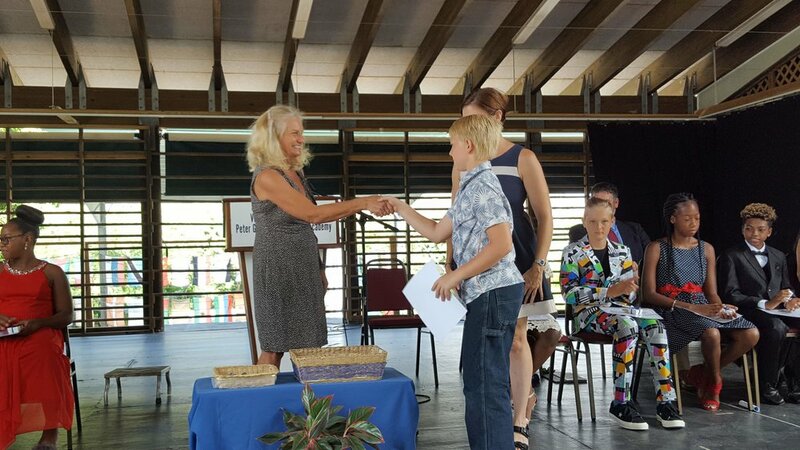 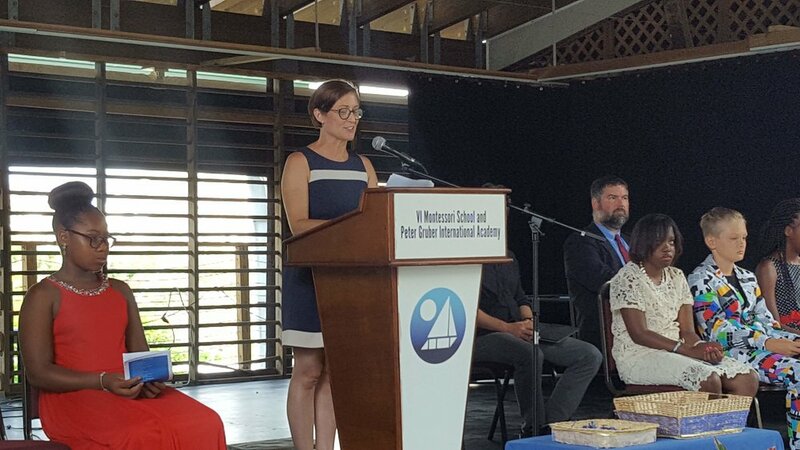 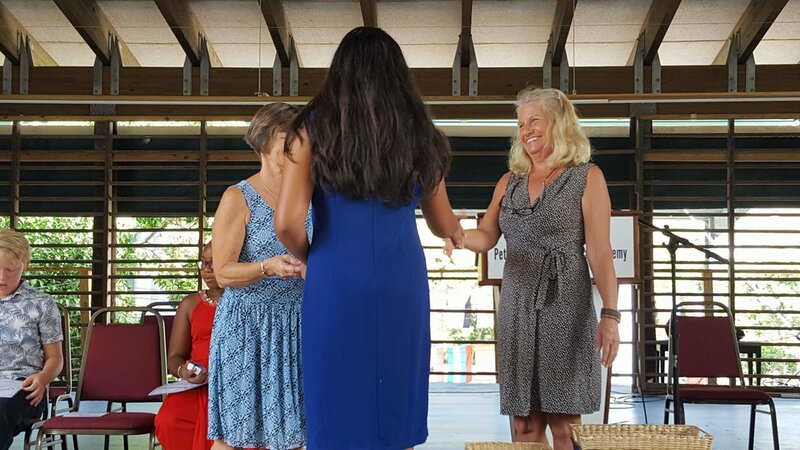 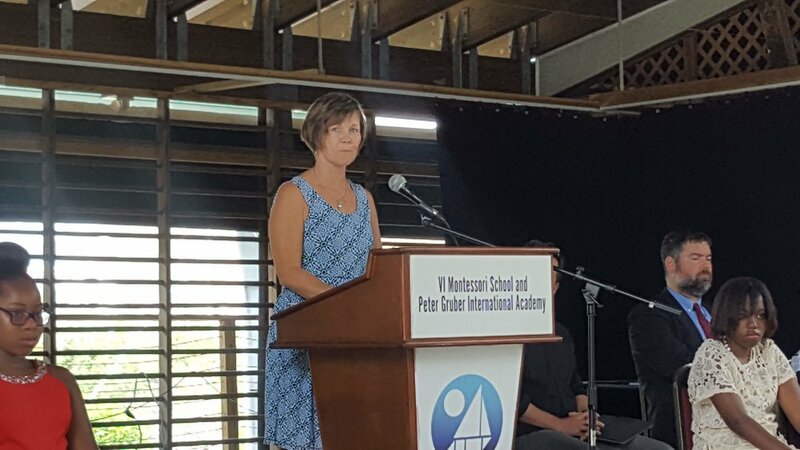 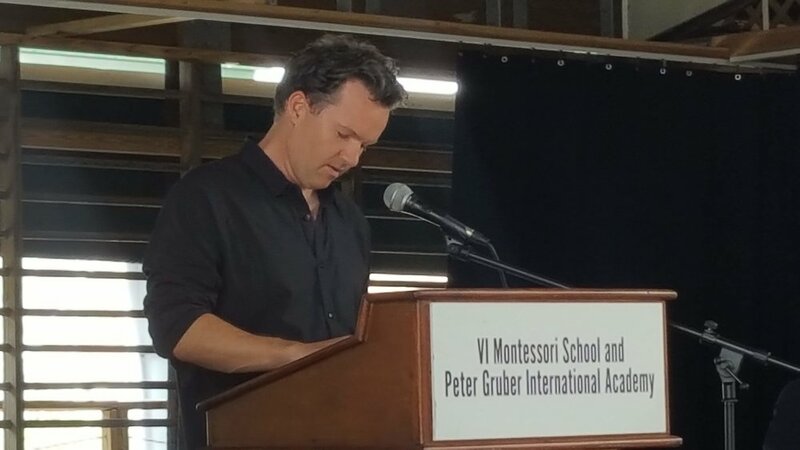 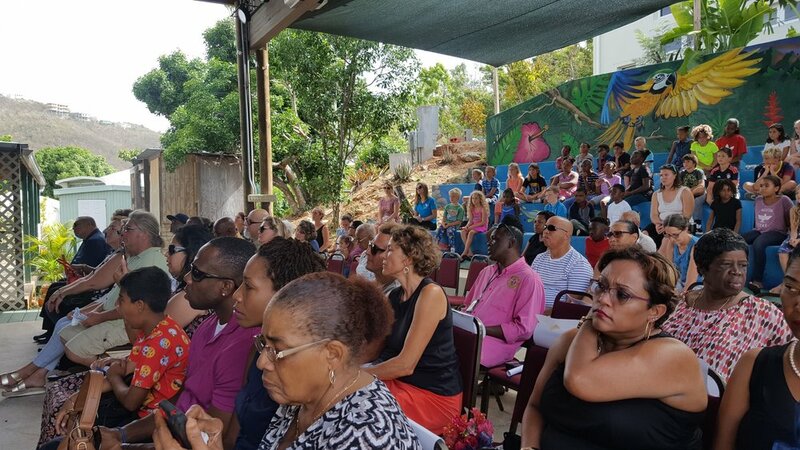 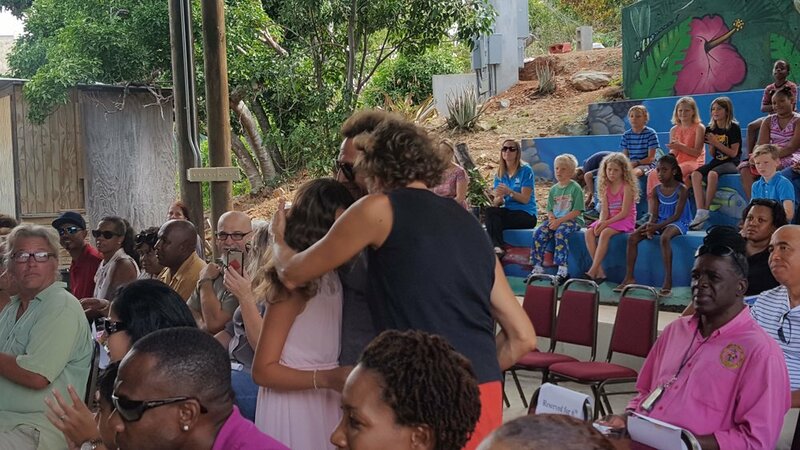 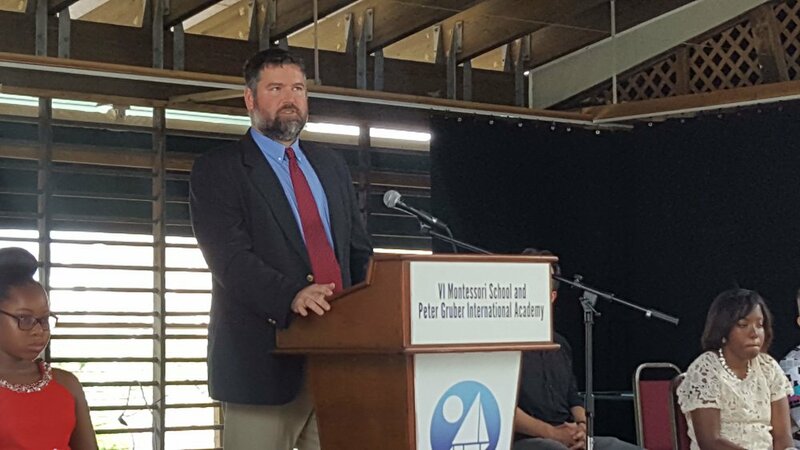 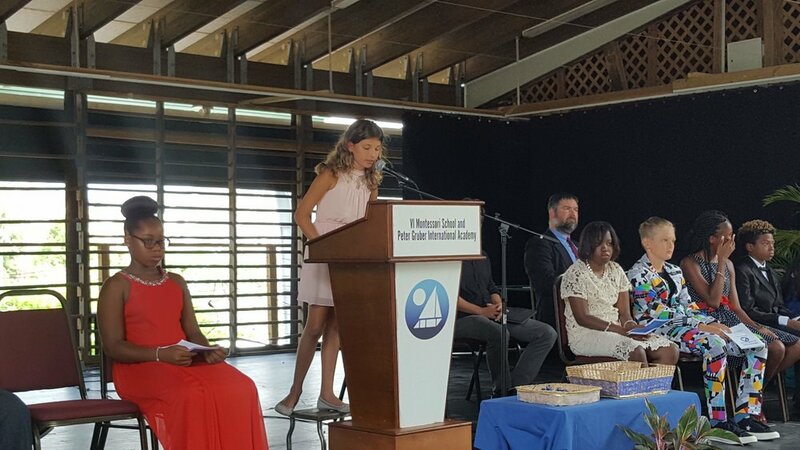 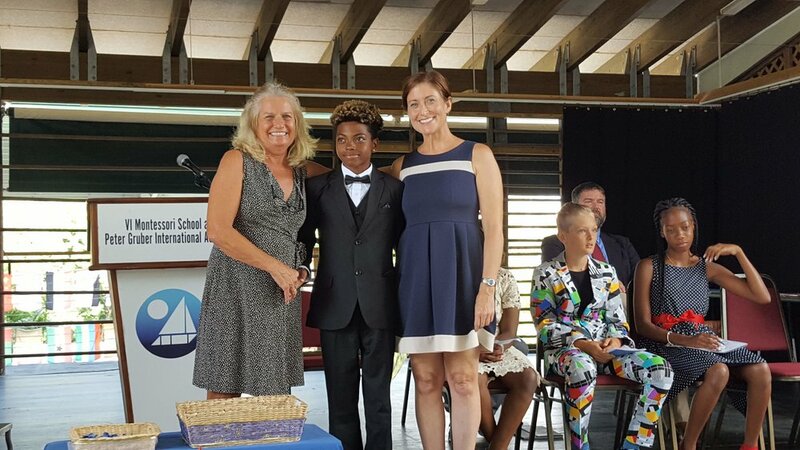 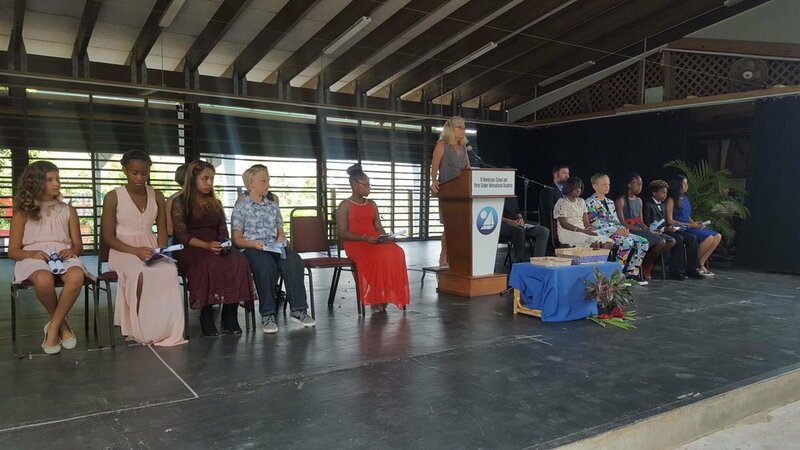 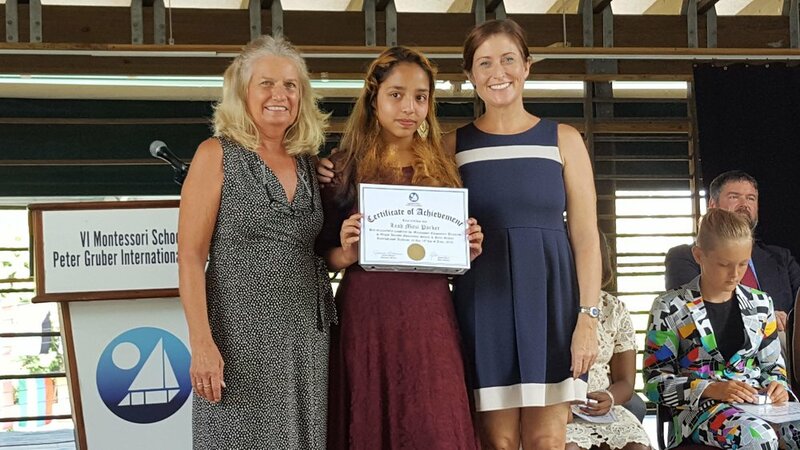 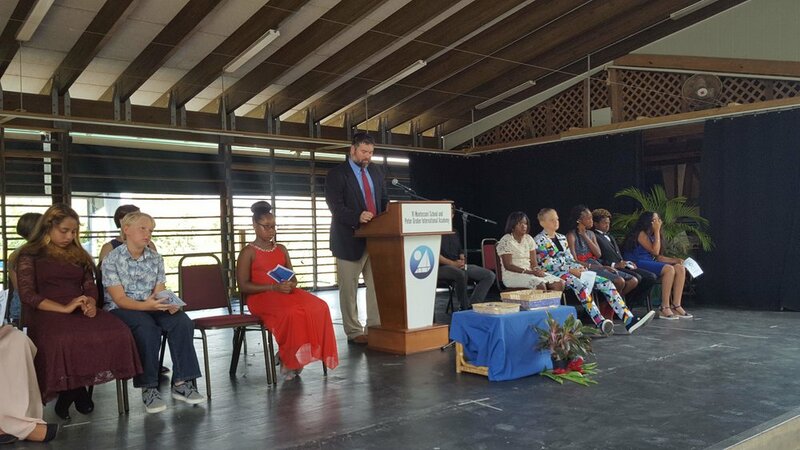 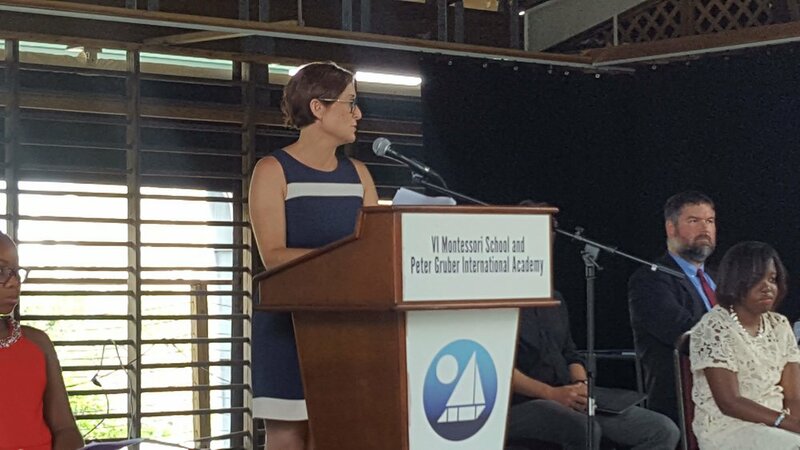 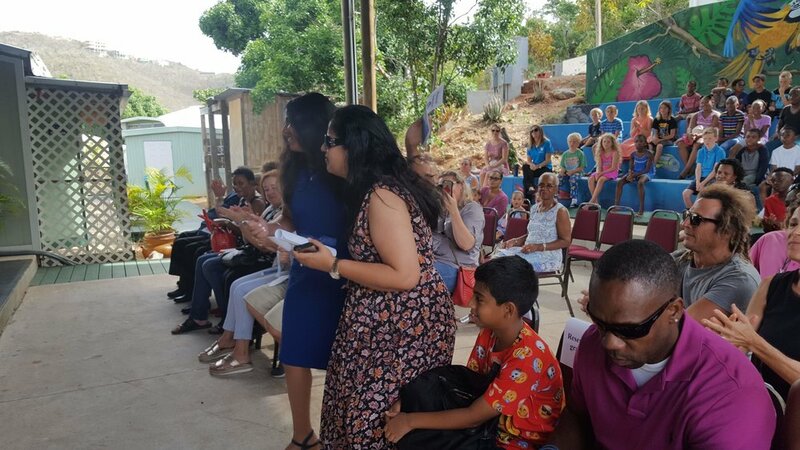 Twelve sixth year Montessori students walked the stage and graduated from Virgin Islands Montessori School & Peter Gruber International Academy’s (VIMSIA) accredited Montessori Program. 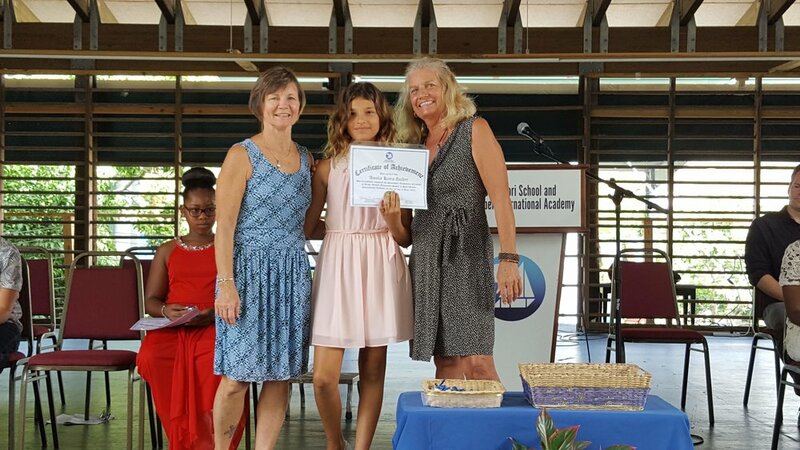 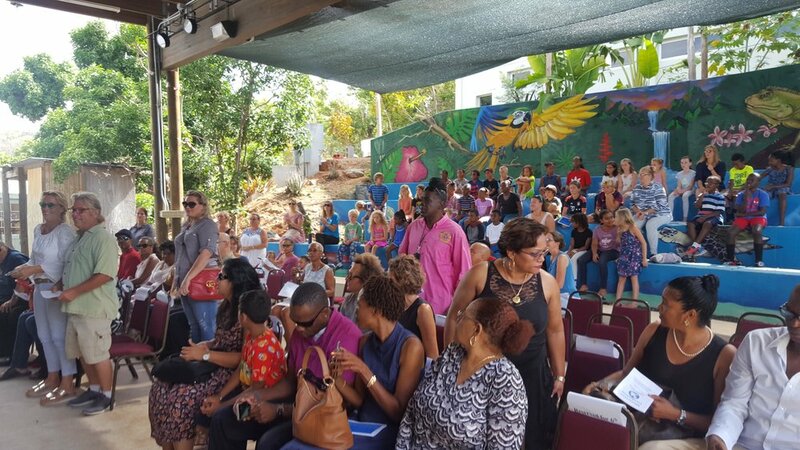 Graduating from one of only two available Montessori schools in the US Virgin Islands is a game-changer for these students and a life decision supported by their friends and family. 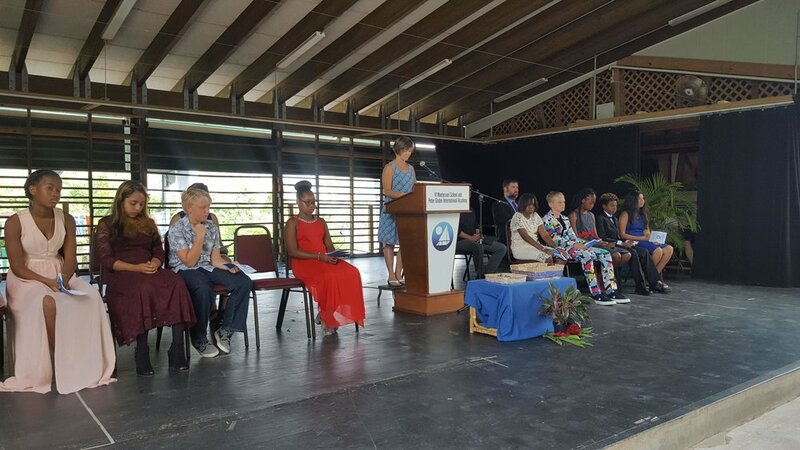 VIMSIA’s graduation included remarks from keynote speaker, Brad Wilson, CEO of Brad’s Deals LLC, current parent and member of the VIMSIA board of trustees. 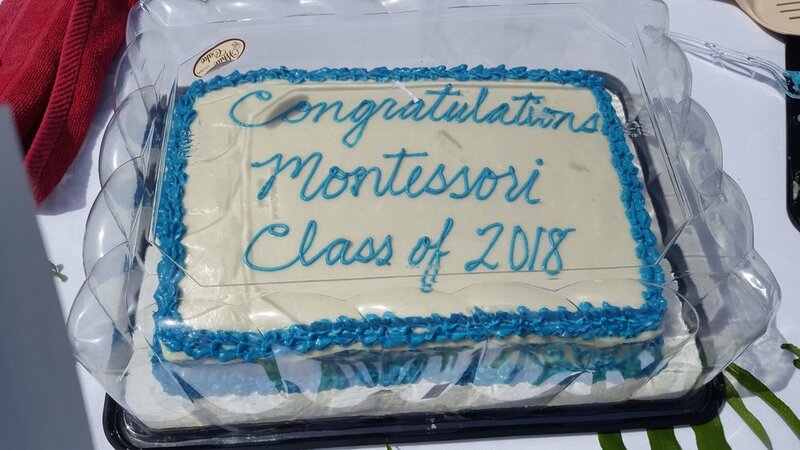 The ceremony included speeches from both Upper Elementary Montessori Directresses Caroline Morrison and Kate Ludick. 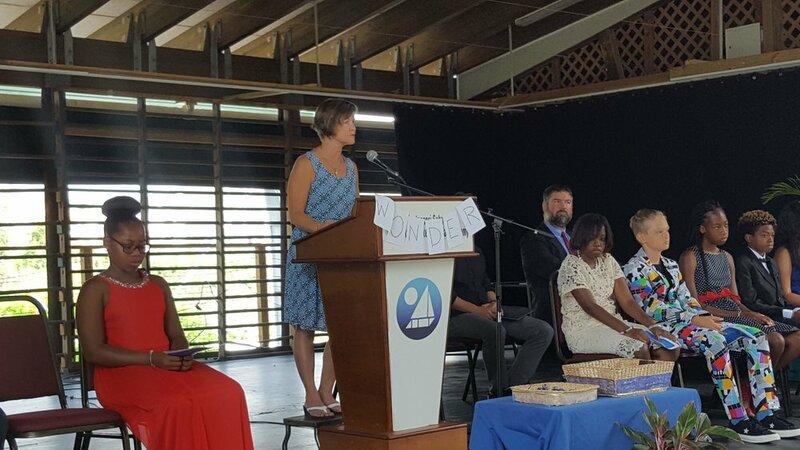 Morrison highlighted how important the role of the teacher is stating “Dr. 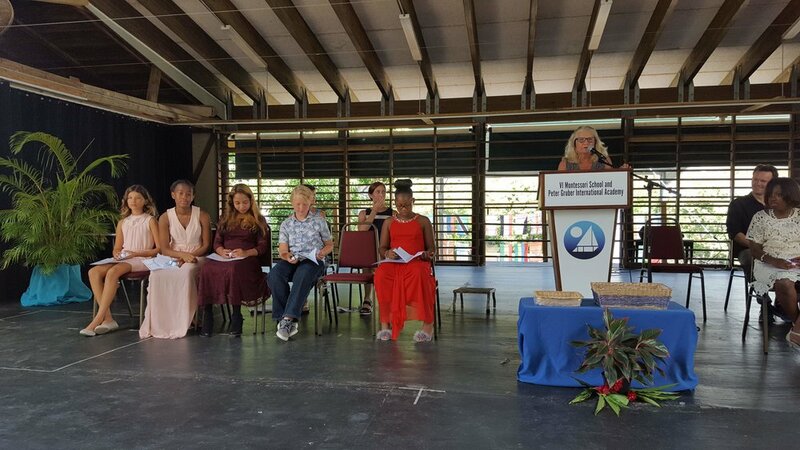 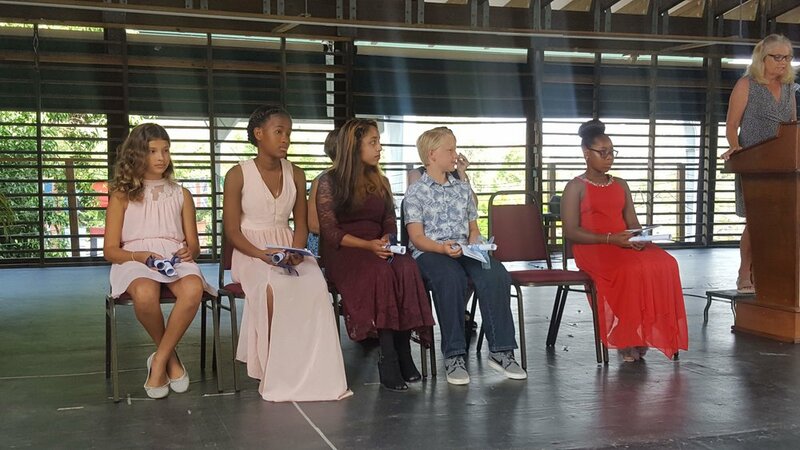 Maria Montessori believed that it is the role of the teacher to walk alongside you, challenging your imagination whenever possible to help you see through the obstacles in the way.” Ludick was thrilled to see such a beautiful ceremony to mark the end of another successful school year. 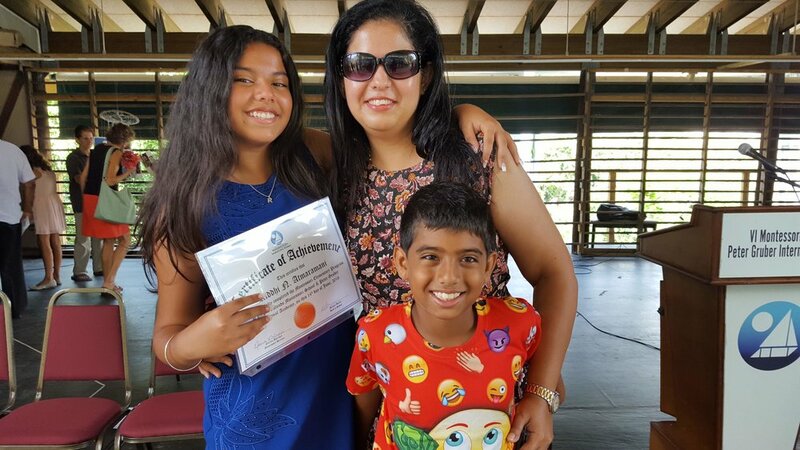 “The children now are going into the third plane of development and becoming adolescents. 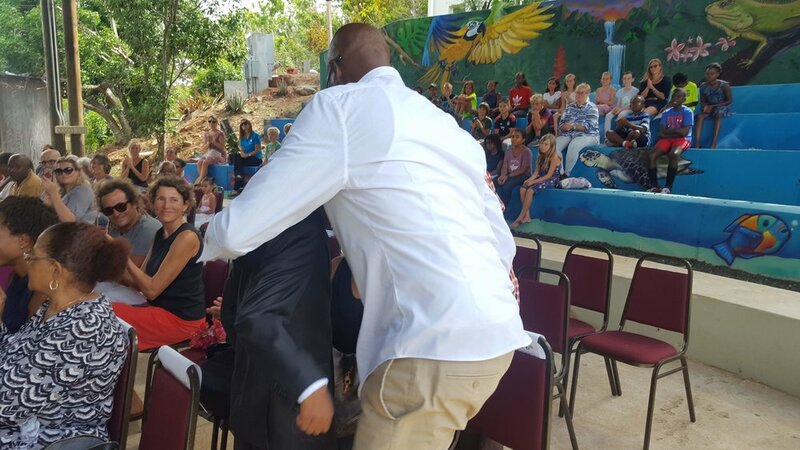 It was a very positive way to end the year for them and do something special, because they gave us –the teachers- hope” said Ludick. 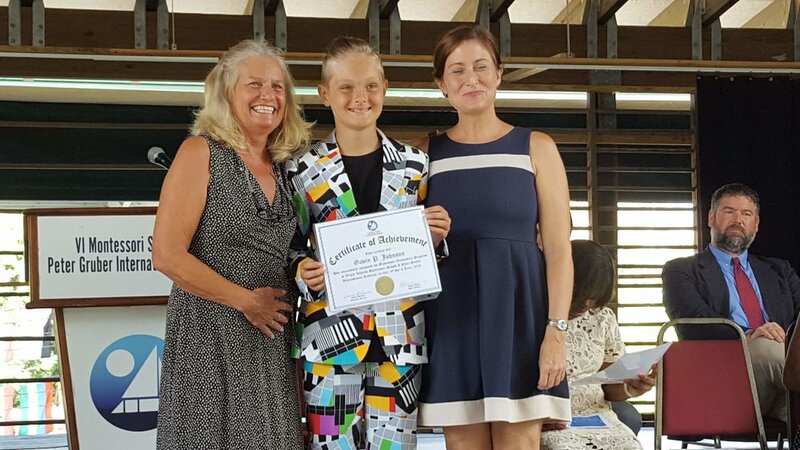 According to the National Center for Educational Statistics there are 132,656 schools in the US (2008 numbers), 4,000 of them are Montessori Accredited schools with only two located in the US Virgin Islands.